Cambridge University Press. Birks HH and Birks HJB (2006) Multi-proxy studies in palaeolimnology. Vegetation History and Archaeobotany 15: 235-251. Birks HJB (1995) Quantitative palaeoenvironmental reconstructions. In: Maddy D and Brew JS (eds.) Statistical Modelling of Quaternary Science Data, pp. 161-254. Cambridge: Quaternary Research Association. Birks HJB (1998) Numerical tools in palaeolimnology - progress, potentialities, and problems. Journal of Paleolimnology 20:301-332. Birks HJB and Birks HH (2004) Quaternary Palaeoecology. Caldwell, NJ: Blackburn Press. Birks HJB and Gordon AD (1985) Numerical Methods in Quaternary Pollen Analysis. London: Wiley. Brenchley PJ and Harper DAT (1998) Palaeoecology: Ecosystems, Environments, and Evolution. London: Chapman and Hall. Delcourt HR and Delcourt PA (1991) Quaternary Ecology - A Paleoecological Perspective. London: Chapman and Hall. Dodd JR and Stanton RJ, Jr. (1981) Paleoecology, Concepts and Applications. New York: Wiley. 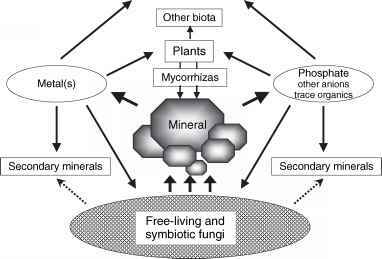 Flessa KW and Jackson ST (2005) The Geological Record of Ecological Dynamics - Understanding the Biotic Effects of Future Environmental Change. Washington, DC: Natural Academies Press. Hammar 0 and Harper DAT (2006) Paleontological Data Analysis. Oxford: Blackwell Publishing. Jackson JBC and Erwin DH (2006) What can we learn about ecology and evolution from the fossil record? Trends in Ecology and Evolution 21: 322-328. Jackson ST (2000) Out of the garden and into the cooler? A Quaternary perspective on deep-time paleoecology. Paleontological Society Papers 6: 287-308. Jackson ST (2001) Integrating ecological dynamics across timescales: Real-time, Q-time, and Deep-time. Palaios 16: 1-2. Jackson ST and Overpeck JT (2000) Responses of plant populations and communities to environmental changes of the late Quaternary. Paleobiology 26(supplement): 194-200. Jones TP and Rowe NP (eds.) (1999) Fossil Plants and Spores. London: The Geological Society. Last WM and Smol JP (eds.) (2001) Tracking Environmental Change Using Lake Sediments, Vol. 1: Basin Analysis, Coring, and Chronological Techniques. Dordrecht: Kluwer. Last WM and Smol JP (eds.) (2001) Tracking Environmental Change Using Lake Sediments, Vol. 2: Physical and Geochemical Methods. Dordrecht: Kluwer. Mackay A, Battarbee RW, Birks HJB, and Oldfield F (eds.) (2003) Global Change in the Holocene. London: Arnold. Matthews JA (ed.) (2001) The Encyclopaedic Dictionary of Environmental Change. London: Arnold. Smol JP (2008) Pollution of Lakes and Rivers - A Paleoenvironmental Perspective. Oxford: Blackwell. Smol JP, Birks HJB, and Last WM (eds.) (2001) Tracking Environmental Change Using Lake Sediments, Vol. 3: Terrestrial, Algal, and Siliceous Indicators. Dordrecht: Kluwer. Smol JP, Birks HJB, and Last WM (eds.) (2001) Tracking Environmental Change Using Lake Sediments, Vol. 4: Zoological Indicators. Dordrecht: Kluwer. Smol JP, Wolfe AP, Birks HJB, et al. (2005) Climate-driven regime shifts in arctic lake ecosystems. Proceedings of the National Academy of Sciences of the United States of America 102: 4397-4402. Willis KJ, Bennett KD, and Walker D (eds.) (2004) The evolutionary legacy of the Ice Ages. Philosophical Transactions of the Royal Society B 359: 155-303. Willis KJ and Birks HJB (200) What is natural? The need for a long-term perspective in biodiversity conservation. Science 314: 1261-1265. Willis KJ, Gillson L, and Knapp S (eds.) (2007) Biodiversity hotspots through time: Using the past to manage the future. Philosophical Transactions of the Royal Society B 362: 167-333.